If you like the information you find here, you can show your support with a CloseGrain T-shirt or other logo item! All proceeds help fund this site. Click on a logo above to select the design. You'll be taken to the CafePress store where you can order. 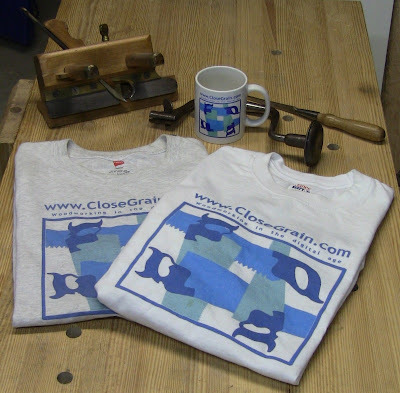 You can order from the CloseGrain Blue, CloseGrain Black, and CloseGrain White stores at CafePress.com. All items are added to the same shopping cart, so you can mix and match before checkout. You can email me a family-friendly photo with your CloseGrain item at sdbranam@gmail.com, and I'll do a blog post with every 10 photos I receive, with your name, location, and a link. Or you can create your own T-shirts!